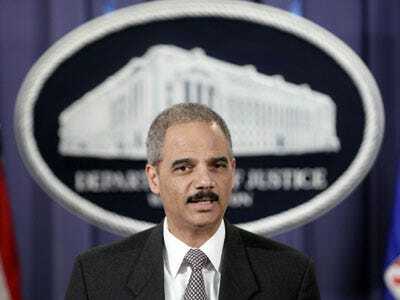 US Attorney General Eric Holder was scheduled to have a chat with the Senate today, but, with less than 24 hours on the clock, it was rescheduled for April 14. The postponement is possibly due to the signing of the health care bill, but Republicans think Holder might be glad for the extra time. No matter when it happens, it will not be a passive event. The hearing is officially billed as “oversight of the Department of Justice” but general consensus is he’ll face strong questioning over his decision (which seems more and more likely to be reversed) to try some of the alleged 9/11 masterminds in federal court. In addition to being quite unhappy with Holder’s choice of trial locale, the right was displeased with Holder’s releasing internal CIA interrogation memos from the Bush days. Meanwhile, those on the left think Holder has not come anywhere close enough to disavowing and reversing Bush policies — ACLU executive director Anthony Romero compared his troubles and actions to those of Bush AG Alberto Gonzales, whose credibility issues relating to the firing of AUSAs ended with him being run out of town. Holder’s job is of course not in trouble until President Obama says it is, though political pressure does weigh on these things — it is, in fact, only political pressure over how to achieve the closing of Guantanamo that seems to have Obama backing off the federal terror trials. Comparisons to Gonzales (at least as far as confidence in the AG) seem unfair at this point — the Gonzales Justice Department was mired in controversy and his disastrous “I do not recall” appearance in front of Congress helped seal his fate. Holder is only a year in and trying to run a department for a country that is deeply, deeply divided on how he should do it. It’s our desire that any Justice Department should function outside of political pressure, and that all presidents (Bush then and Obama now) should trust the DOJ to come to the correct legal decisions with little influence during or after deliberations. That aside, Holder’s Senate appearance will be all politics. While that might not be good for the health of the Department or Holder’s career, it makes for good soundbites.